There are many ways you can reward yourself – and many reasons to do so. Take time to look at the little victories. This will help you to stay motivated and get to the end goal that you’ve been dreaming of achieving. Success has a lot to do with being prepared. One way you can have more success is to portion out your food as soon as you get home from the grocery store. This will help you to have foods you can grab and go about your daily life. For example, when you purchase veggies in large containers you can peel, chop, and separate them into one-cup portion sizes. Using re-sealable plastic bags or small plastic containers can help you to store them in the refrigerator until you’re ready to use them. Food items such as nuts, potato chips, and crackers can also be portioned in smaller bags and kept in your cupboard. While you can buy small packages of these items, those are often more expensive. You can also prepare large bowls of mixed fruit that you can scoop quickly for meals. Whole pieces of fruit can be washed immediately and made ready for consumption. The more convenient it is to eat fruit, the more you will do it. Planning ahead and preparing ahead makes it easier to stay on track when you have just a few minutes to get out the door each day. This will actually help you to save money and time in the long run. It may seem counterintuitive, but by eating a big breakfast you can actually lose weight faster than if you skipped it. Breakfast helps your body to get started for the day. It kick starts your metabolism into gear. That means you can burn more calories all day long. Who wouldn’t want to burn more calories by eating more food? What you choose for breakfast can affect how much you benefit from eating it. When eating breakfast, many people stock up on sugary foods such as processed cereals and toaster pastries. However, this type of breakfast food can cause you to crave sweets all day and do the opposite of what you really want. Making a healthy breakfast can lead to long-term weight loss and dieting success. Prepare breakfast the night before if you’re crunched for time. One of the toughest times to stick to your diet is late at night. You’ve had dinner and now you’re body is starting to shut down for the night. What you may mistake as hunger is actually your body craving energy – and the best way for it to recharge is through sleep. Eating too late at night can actually make it difficult to get a good night’s rest. Late night eating can cause indigestion, strange dreams, and too much food can even cause you just to feel too uncomfortable to rest well. Food is designed to give you energy, so when you’re feeling drained you may naturally start to crave a boost from food. 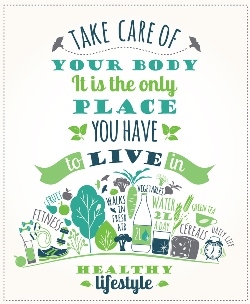 However, the best thing you can do is give your body the rest it really needs at the end of the day. Eating and getting a quick burst of energy makes sleeping more difficult. Late at night your body doesn’t really need calories. It needs to focus its efforts on restoring the body from the day rather than digesting snacky foods. And the choices that most people make at night aren’t usually the best. You may find yourself going for that last bowl of ice cream, a few chips, cookies, candy, or any number of foods that shouldn’t make the bulk of your diet. And you’ll be adding unnecessary calories to your day. Make a goal to stop eating at least three hours before you go to bed. This gives your digestive system a chance to take a break while you sleep. You’ll eliminate the extra calories that evening snacking can cause. You may also find that when you stop eating before bedtime you sleep more soundly and have fewer problems with heartburn. People who are dieting generally see better success when they don’t eat before bed. After you finish dinner, you can clean up and then turn off the lights. Consider the kitchen closed at this point. Instead of eating a snack at the end of the evening, try drinking a glass of water. Herbal tea is also a nice way to relax and unwind in the evening. Try a caffeine free herbal tea with stevia as a sweetener. This is a no calorie beverage that’s packed full of flavor. The warmth will also sooth you and helps your body prepare for sleep. It can be a hard habit to break – especially if you’ve enjoyed nighttime snacking for a long period of time. But you’ll find that giving up late night snacking will help your diet to be much more successful. When you’re dieting, it can be helpful to have a routine. But after eating the same plate of grilled chicken for 3 weeks, you may start to resent your diet plan. While too much variety can make dieting hard, some is essential. You can add variety to your diet in several ways. While your breakfast and lunch routine may be best left to a standard routine, dinner is an area where you can add variety easily. Make it a habit to try a new dish every week. Talk to other friends who are on a similar diet plan and get suggestions. Look for a fabulous cookbook that includes recipes with just a few healthy ingredients. Search online in forums for recipes from other dieters. Lighten up some of your family favorites. For example, substitute fat free soups for cream soups or add vegetables to a dish that doesn’t have many (or any). Experiment it the kitchen. If you love to cook, you may be able to try some new ingredients and make a special meal. Start a recipe swap with your friends. You’ll be amazed at what other people are making. You can even organize a party for taste testing the recipes. Everyone brings their dish and the recipe on cards. Then you have a bite of each dish and take the cards that appeal to you most. If you belong to a weight loss center, take advantage of the perks. Most offer specific recipes that go right along with the diet plan. When you find a recipe you love, add it to your rotation. If you make a recipe that misses the mark you can note that it wasn’t good and move on. Sometimes you can take a recipe that wasn’t perfect and add or omit a few ingredients to suit your taste better. By trying new things on a weekly basis, you’ll be less likely to get bored with your diet and quit the plan. Knowing that you’ll have a new dish to try each week is sometimes the motivation you need to keep going. Cooking after a long day at work can be overwhelming. And as any dieter knows, eating out every night isn’t the easiest option for weight loss and good health. One solution for making sure you have great meals every night is to cook once each week. This means setting aside one day (a day when you don’t have work) to cook all the meals for a week. You’ll have to do some planning ahead, but you’ll find that it pays off in a big way. The basic idea is that cooking once will allow you to have nutritious meals all week long. First, you’ll need to decide how many servings of food you’ll need. This will depend on how many people you’re feeding. If you’re single you don’t have the same needs as someone who has a large family. Take a look at your situation and plan accordingly. Next, choose the recipes that you’d like to use. In order to save time and money, you may want to look for recipes that use the same basic ingredients. For example, you might want to look for two recipes that both use cut up chicken. Then you can make one big batch of chicken and use it for more than one recipe. The same goes for pasta, ground beef, and other common ingredients. Then you can add variety by tweaking the spices and other components of the meal. After you spend the day cooking your meals, it’s time to decide on storage. It’s best to store your meals in portion sizes that meet your family’s needs. Large recipes can be split into smaller portions so that you don’t have to heat more than you need. Once you’ve divided your meals into portions, you can refrigerate those that you’re going to eat in the next day or two and freeze the rest. Make sure to label each portion with the name of the recipe and the date on which you cooked it and froze it. Keeping organized will help you to get what you need and avoid spoiling food. While it may take a long time to cook all of the week’s food in one day, it will make it so much easier to stay on your diet when you’re busy. There’s nothing harder than coming home from a long day and facing the fact that you need to cook a big meal. With this system, all you have to do is take a portion out of the freezer or fridge, heat it, and serve. Sticking to your diet is much easier when you have meals prepared in advance that fit the guidelines you’re trying to follow. If you’re a really organized person, you could even cook for longer periods of time such as two weeks or even a month. In a perfect world, you would be able to sit down with your family to a perfectly prepared meal each and every night. But if it were a perfect world, you wouldn’t need to diet. In order to manage your lifestyle, you’ll need to find a way to work healthy foods into your lifestyle. Having a good stock of items in your pantry or refrigerator will help you to stick with your plan. You won’t have to hit the drive through when you’ve got a few healthy snacks in your work bag or purse. Being able to have a quick snack throughout the day will make you less likely to indulge at mealtimes. Overeating is often a result of allow your yourself to become too hungry throughout the day. How often have you eaten a plain grilled chicken breast when embarking upon a new diet. After weeks of bland, boring food it’s no wonder you finally had enough! This tip may be one of the most important for sticking to your plan and having the success you crave. Who ever said that healthy food has to be boring? The more you can make your meals interesting, the more likely you’ll be to enjoy what you eat and want to keep eating it throughout your life. And don’t forget about your old friends salt and pepper. Sometimes just adding a dash of these spices can help to make a boring meal into something that is tasty. Don’t be afraid to experiment with adding spices to your favorite dishes. Spices can be expensive, so if you want to stretch your budget try finding a store that sells bulk food items. There you can portion out just the amount of spice you want and spend pennies instead of dollars to try something new. Once you know you love a new spice, you can fork over the money for a larger container. But don’t buy more than you’ll use in a year. Dried spices do get less potent the older they are. It’s best to use those that have been purchased within the past year. There isn’t a right or wrong way to keep track of your food. Some people have programs that provide journals either online or on paper. If you don’t have a set journal given to you, you may want to look online for free journals. You can also find cell phone apps that help you to track your progress. If you’re old-fashioned and prefer a paper journal just about anything will work. You can use a cheap spiral notebook or purchase something a bit fancier for your journaling. You may also want to use your journal to keep track of other information such as minutes of exercise, weight, measurements, medications/vitamins, blood pressure, blood sugar, heart rate. All of these are good measures of your progress and your success. Your journal can help you to focus – if you’re honest when using it. Make sure not to lie to your journal. If you ate it, write it down. When you have a successful weight loss week, look back at what you did to make it work. If you’re dieting, you’ve probably struggled with eating at times when you weren’t really hungry. One of the best ways to lose weight and improve your health is to find activities that will help to take the focus off of food. Food can be viewed as a source of fuel that is also enjoyed. But it doesn’t have to be the center of every activity and every celebration. It’s a good idea to keep a list of activities that you can do that will take your mind off of eating when you’re not really hungry. Getting involved in a club or team can help you to find outlets for your time and energy. A book club, cooking club, walking club, or photography club could be the answer to your desire to eat when alone or bored. If you tend to eat when you’re stressed, exercise can often provide an outlet for your feelings without ruining your diet progress. By taking the focus off of food, you can stick to your plan and still have fulfilling activities in your day. Changing your lifestyle means changing the focus that you’ve previously put on snacking and using food to celebrate or suppress every emotion. Keeping your hands busy and expanding your social outlets can help with this.